No part of the Goodenough website or any material appearing on the site, may be reproduced, stored in or transmitted on any other website or medium without the prior written permission of the College. Requests to republish any material may be sent to events@goodenough.ac.uk. Here at Goodenough College we are committed to protecting your personal information and being transparent about what information we hold about you. 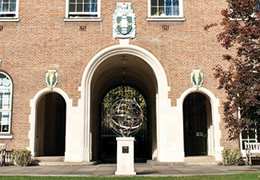 The purpose of this notice is to give you a clear explanation about how Goodenough College and all of its subsidiaries comply with data protection laws in the UK (General Data Protection Regulation), how we collect, manage and use the personal information you provide us with and what information we might collect or share with third parties. Goodenough College Events and Venue Hire is a subsidiary of Goodenough College, a registered charity, which provides residential accommodation for postgraduates from the UK and all over the world who are studying in London. Proceeds from our commercial activities help further the College’s aims to provide a safe and caring community that allows our Members to expand their horizons academically, socially and culturally and strengthen the lifelong community spirit all over the world. When you make an enquiry you will usually provide us with your personal contact details. Even if you do not go through with a booking, we will keep a record of your enquiry and will also ask if you are happy for us to stay in touch with you. We will update our records when you inform us of any changes or when you make a new booking. Goodenough Club is a 4 star hotel that is part of the College. The Club may share information with us if our clients choose to book accommodation with them and we may share your data with them. This enables us to streamline the full aspects of your booking at the College. We may also receive your data through third party providers you have authorised to share your data with us e.g. at an exhibition or networking event, and we will ask them to verify they have permission to pass your details on. We may also use contact details and information available from your organisations website or information you have publicly shared on social media, including services such as LinkedIn, Facebook, and Twitter. Developing a better understanding of our clients, suppliers and partner organisations through their personal data allows us to maintain connections more efficiently. Contract purposes - When you make booking you are entering into a contract with us. In order to fulfil this contract we need to process and store your data. For example we may need to contact you by email or telephone in the case of any changes to or cancellation of the event, in the case of problems with your payment, or to deliver the services associated with your event. Legitimate business interests - In certain situations we collect and process your personal information for purposes that are in our legitimate organisational interests. Some of the situations in which we would use this basis; using your personal information for data analytics, conduct research to better understand who our clients are, improving our services, for legal purposes (for example, dealing with complaints), or for complying with Financial regulations for audit purposes. With your consent - For any situation where the two bases above are not appropriate, we will instead ask for your explicit consent before using your personal information in that specific situation. You will always have the right to opt out from us from storing and using your data for marketing and promotional purposes. All personal data is held and processed in accordance with the EU General Data Protection Regulation. We very much want to keep you updated with information about our venue and tell you all about our offers and events. In order to do this, by law, we have to ask for your permission first and ask you to opt in to receiving communication from us. We may also ask you questions about your preferences and about the type events you may be interested in. This allows us to tailor our content and we may segment our communications accordingly to help make sure the information we send is relevant to you and your interests. Digital tools may be used to monitor and improve our communications, such as tracking when an email we send is opened and if links are clicked within the message or if the message bounces. We may use this information to manage our contact lists and improve the content of our communications. Please be assured we will communicate with you only in the ways that you choose whether by email, post or telephone. You have the right to object and choose to opt out of your personal data being processed for the above purposes at any time. Please e-mail us at events@goodenough.ac.uk to state your preference. This may include: technical service providers, services to send e-mails, mail, and to screen addresses to keep them up to date. We do comprehensive checks on these companies before we work with them. This may be to help us respond to a booking enquiry, or assist with the delivery of an event. We will never share, sell or swap your details with any external organisation for their own purposes. Any personal data stored in our database is held on the College’s secure servers, with access restricted to authorised personnel only. We may update the terms and conditions at any time.